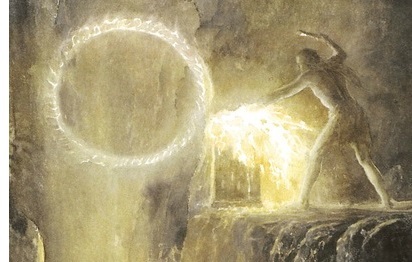 Forging of the Rings begins - Having gained the Elves' trust as Annatar, Sauron went to work executing his master scheme of dominating Middle Earth. He planned to do this through the forging of a series of rings by which he could control its bearers. And when they were done, a total of 20 rings were forged.